Estes Park Tours will show you the history of Estes Park and the abundant wildlife of the area. Tour by bus, limo, bike, foot, or segway today! 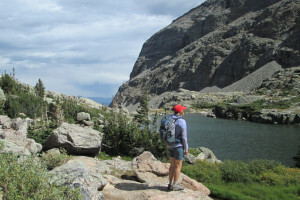 Fully-supported hiking tours in Rocky Mountain National Park and over the continental divide to see waterfalls. Committed to adventure for over 37 years – we know adventure! Get the most out of your vacation with a tour guide and storyteller in Estes Park. Your tour will be economical and fact-filled. Estes Park Shuttle offers airport shuttles, tours of Rocky Mountain National Park, and wedding transportation for groups of any size. Enjoy Spectacular Views of the Majestic Rocky Mountains over Beautiful Boulder, Colorado. Daily Flights with all the Extras!Simply stated - "Colorado's Favorite!"